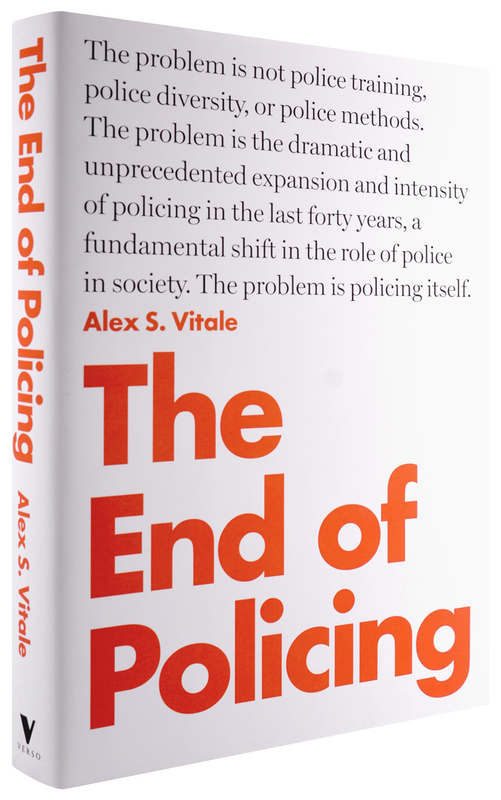 Please join us for a night with author, activist, and sociologist Alex Vitale as he discusses his new book The End of Policing. Recent years have seen an explosion of protest against police brutality and repression--most dramatically in Ferguson, Missouri, where longheld grievances erupted in violent demonstrations following the police killing of Michael Brown. Among activists, journalists, and politicians, the conversation about how to respond and improve policing has focused on accountability, diversity, training, and community relations. Unfortunately, these reforms will not produce results, either alone or in combination. The core of the problem must be addressed: the nature of modern policing itself. "Broken windows" practices, the militarization of law enforcement, and the dramatic expansion of the police's role over the last forty years have created a mandate for officers that must be rolled back. This book attempts to spark public discussion by revealing the tainted origins of modern policing as a tool of social control. It shows how the expansion of police authority is inconsistent with community empowerment, social justice--even public safety. Drawing on groundbreaking research from across the world, and covering virtually every area in the increasingly broad range of police work, Alex Vitale demonstrates how law enforcement has come to exacerbate the very problems it is supposed to solve. Alex S. Vitale is Professor of Sociology and coordinator of the Policing and Social Justice Project at Brooklyn College. He has spent the last 25 years writing about policing and consults both police departments and human rights organizations internationally. He also serves on the New York State Advisory Committee of the US Commission on Civil Rights. Prof. Vitale is the author of City of Disorder: How the Quality of Life Campaign Transformed New York Politics and The End of Policing. His academic writings on policing have appeared in Policing and Society, Police Practice and Research, Mobilization, and Contemporary Sociology. He is also a frequent essayist, whose writings have appeared in the NY Daily News, NY Times, The Nation, Gotham Gazette, and The New Inquiry.